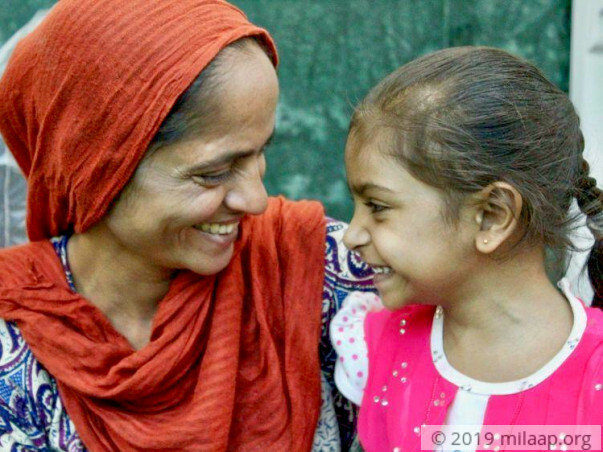 Parveen was 7 months pregnant when her life altered overnight 6 years ago. In a time of extreme vulnerability, she had to deal with the sudden death of her husband because of a brain haemorrhage. The only thing that kept her going was the nearing date of her delivery, she was now living only for their baby. 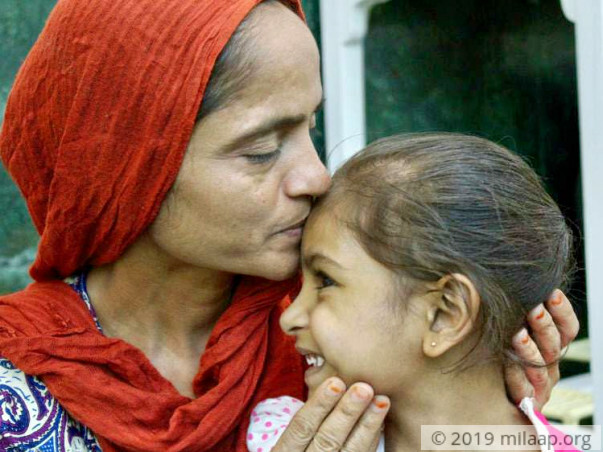 However, Parveen received another blow - her baby girl, Sania, was born with a serious heart disease. Sania has been living on medication ever since she turned completely blue when she was only a few days old. A terrified Parveen only imagined the worst as she carried her struggling baby to the hospital. 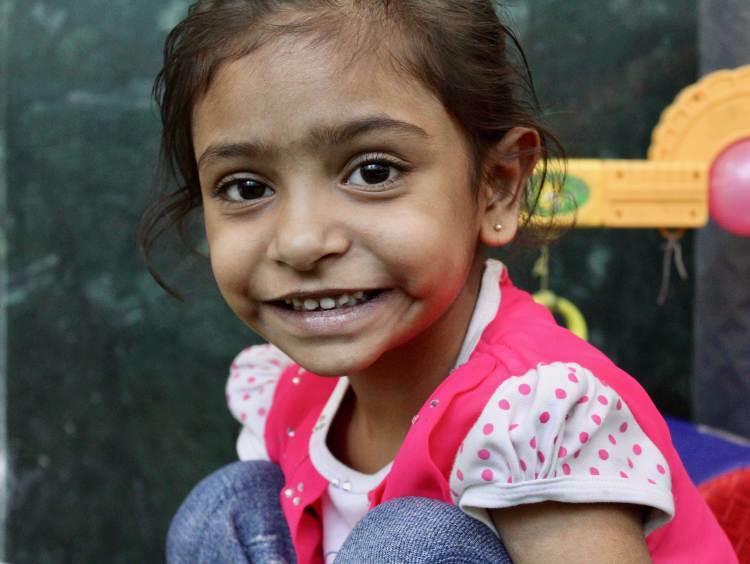 Sania has a serious heart defect called Tetralogy of Fallot, a combination of four heart defects. In this condition, oxygen-poor blood flows from the heart to the rest of the body. Due to the lack of oxygen in the body, Sania often turns blue, catches severe infections and is rushed to the hospital almost every month. Now, only an urgent heart surgery can save her. Despite the numerous obstacles over the years, Parveen sees hope every time she looks at her daughter. However, with her increasing struggle to afford the surgery, she sees her hope dwindling. Sania can be saved with this surgery, but Parveen is helpless. 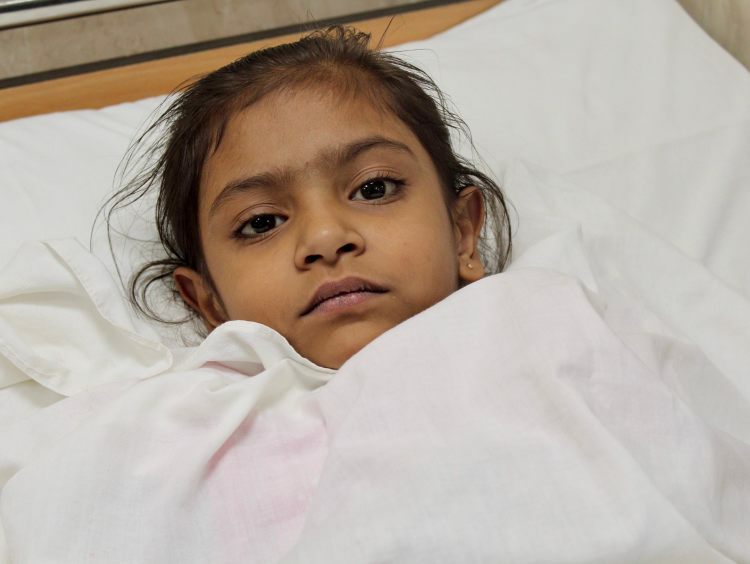 Sania needs an urgent heart surgery to survive this rare and dangerous heart disease. Medications aren’t enough to keep her alive any longer. 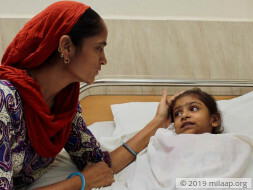 Parveen, a single mother, can barely afford a living now, let alone a surgery that costs 1.5 lakhs. 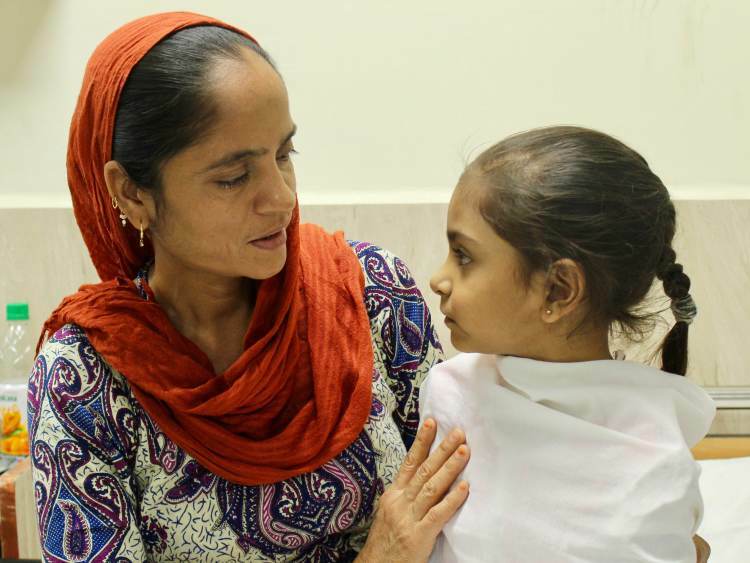 Little Sania needs your help to get this life-saving surgery. Your support will save Sania’s life. 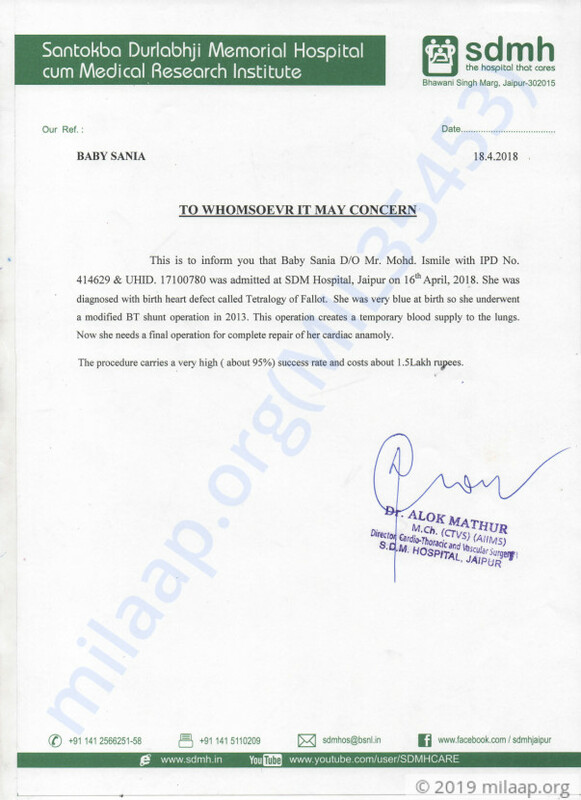 Baby Sania was discharged from the hospital in the month of the April and currently, she's at home, doing well. She has been going for regular follow-ups and so far, no complications were detected. She's active and living a life of normal kid of her age. The family is extremely happy to finally see their daughter out of hospital. This couldn't have been possible without the support of you all, We sincerely thank each one of you for the love and support which you have shown towards us. Thank you for all the wonderful love and support that you have shown towards Baby Saniya. The surgery was successful. She is doing better now and was discharged from the hospital at the end of April. you are a brave girl sania! ap theek ho jaoge.. don't worry.